This white oak stands on the Old Walton Road, one of only two Middle Tennessee roads that nineteenth-century pioneers used as wagon roads. (The other was the Chattanooga–McMinnville Road.) The Old Walton Road between Brotherton and Buck Mountain was part of the Trail of Tears in 1830. 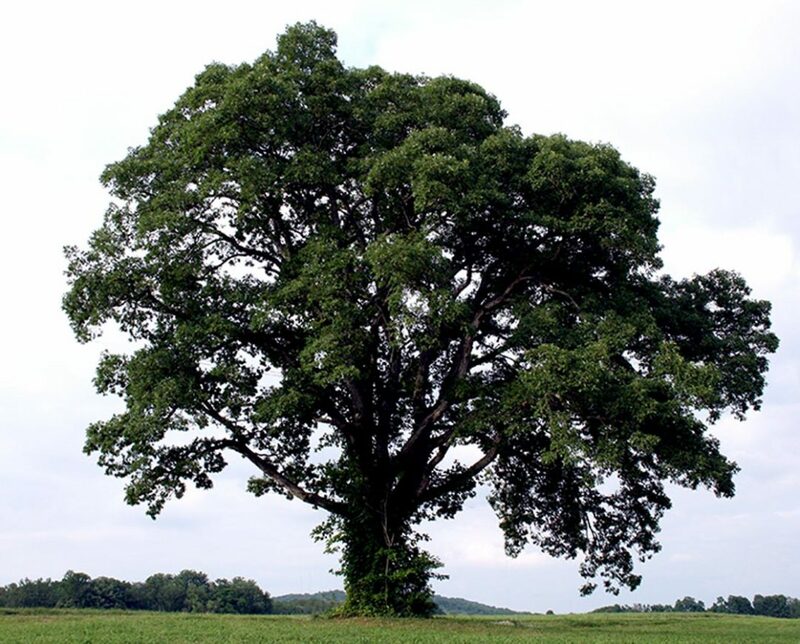 According to local legend, the tree was named in honor of a full-blooded Cherokee woman, Frances Hammock, who escaped from soldiers after her wagon broke down by hiding in a cave nearby. She later married Isaac Swallows, and they made their home in Brotherton. Their union would result in hundreds of descendants in the Upper Cumberlands, many of whom live there today. The tree was a regular resting site for the famous Willis Hyder, one of the last United States Mail horseback carriers, featured in a 1947 Nashville Tennessean article. Hyder and his horses carried the mail on his twenty-six-mile route from 1908 until his retirement in the early 1950s.